BABY - Designer Handbags Sale, Cheap Luxury Bags, Shoes, Accessories . . . Looking at different boutiques and Internet websites for the ideal bucket bag? Please stop looking, we’ve found it. The Saint Laurent Classic Baby Emmanuelle Chain Bucket Bag – wow that summarizes it all, doesn’t it? This bag has the timeless touch, you will be proud to own one. And hey, it’s a Classic all right, which means… carrying it ten years from now, it will still be trending. Now look at the details; impeccable leather with embossed crocodile effect (luxurious), the color black will ease your pain when deciding which outfit matches, the beautiful silver chain is feminine and impressive and above all, flaunt with the YSL logo, will ya! This bag is tiny, but roomy enough to store all your daily essentials and perhaps you iPad too. Because the chain is long, you can carry it by hand or on your shoulder. The Emmanuelle is a famous collection for those that are second-guessing. Already in love? 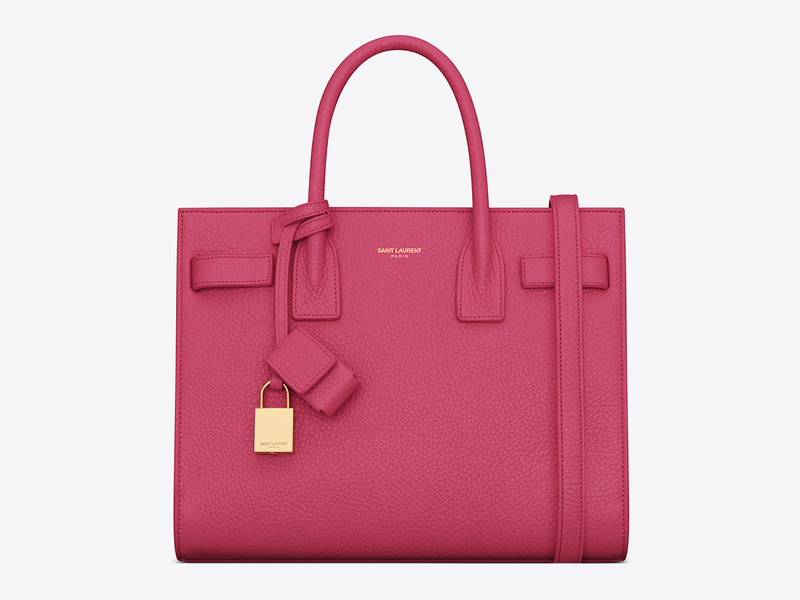 Measuring 12.5 x 16 x 16 (D x H x W) cm, priced at $1390 USD or €1090 euro via Saint Laurent e-store. Sleek and luxe are just two of the adjectives to describe the Saint Laurent Classic Monogram Quilted Baby Shoulder Bag with Gunmetal Chain. It has a flawless design that’s sure to have you coming back for more! Quilted to perfection, this baby has a soft, rich calf leather exterior that’s meant to earn you bragging rights. A perfect companion during day-to-night outfit transitions, this bag is as versatile as it could get! With magnetic fastening, the bag keeps all of your personal effects intact. It even has internal slot pockets, which gives you more space to organize. What else are you looking for? This is officially the bag to beat!